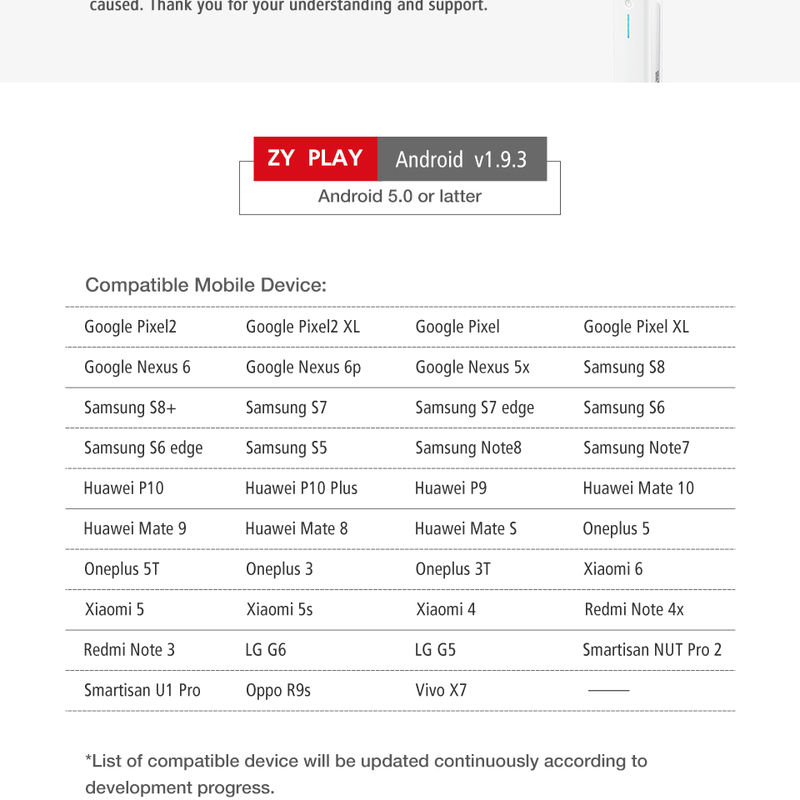 *This device support list will be continuously updated. 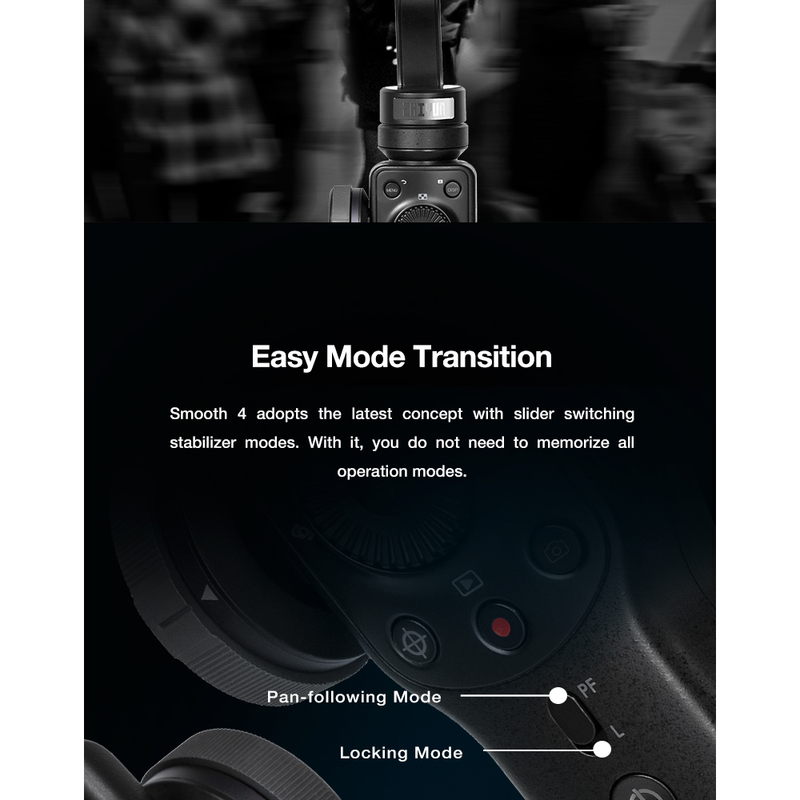 Integrated control panel design:?Smooth 4 is designed with a slider on its control panel and a trigger button on its back, to easily recognize and switch between different gimbal modes. 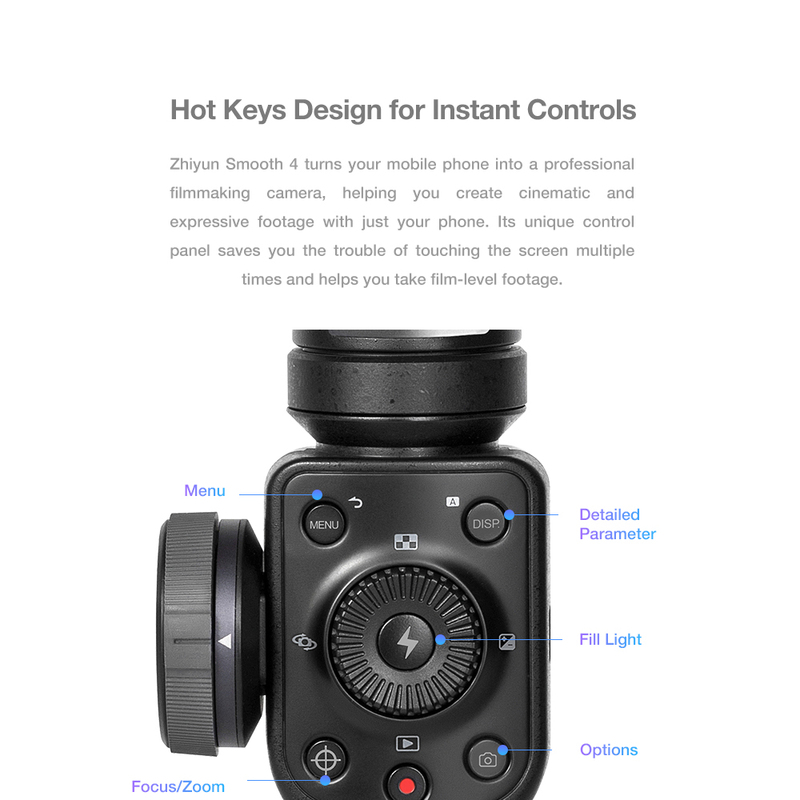 It can reduce the need to touch the screen, and help users control both the stabilizer and mobile camera directly with hot-key buttons. 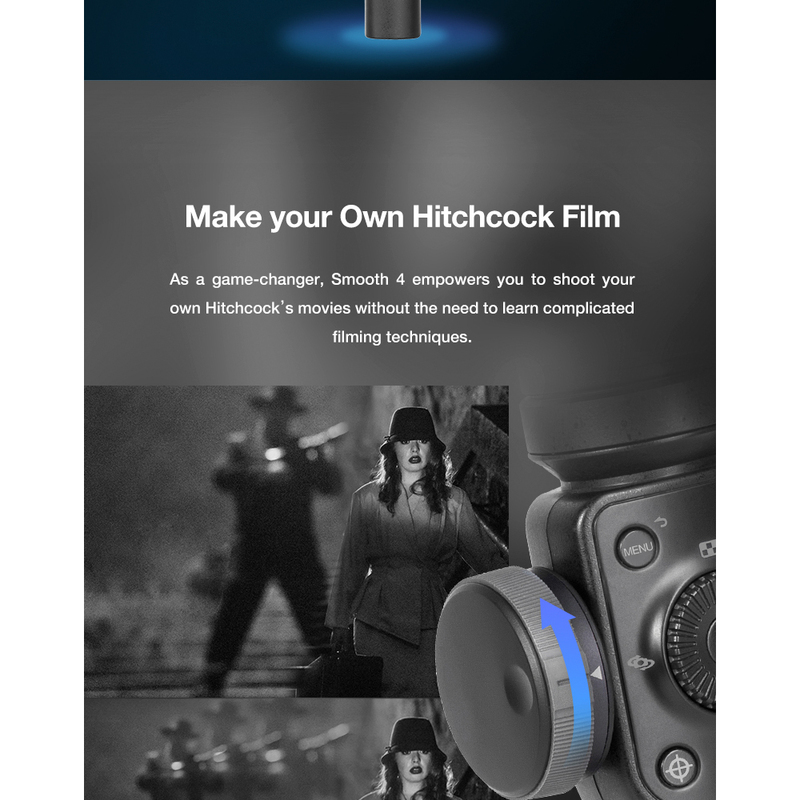 Has "Vertigo Shot" "POV Orbital Shot" "Roll-angle Time Lapse" buttons. 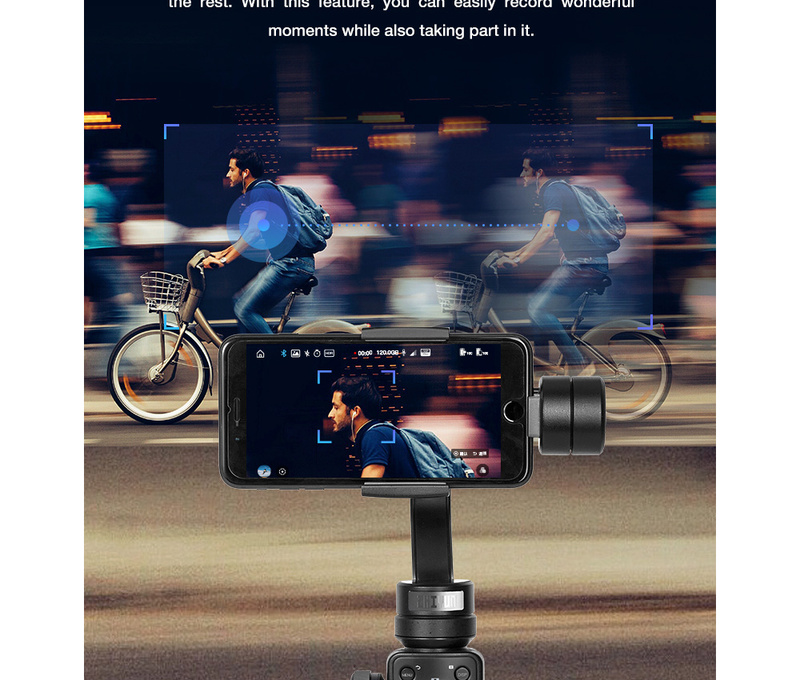 Focus Pull & Zoom Capability:?You can zoom in or out as you want to take close-up shots.By pressing the FN switch button, the handwheel is configured into a focus puller, helping you achieve high-precision focus changes in real time to create creative shots. 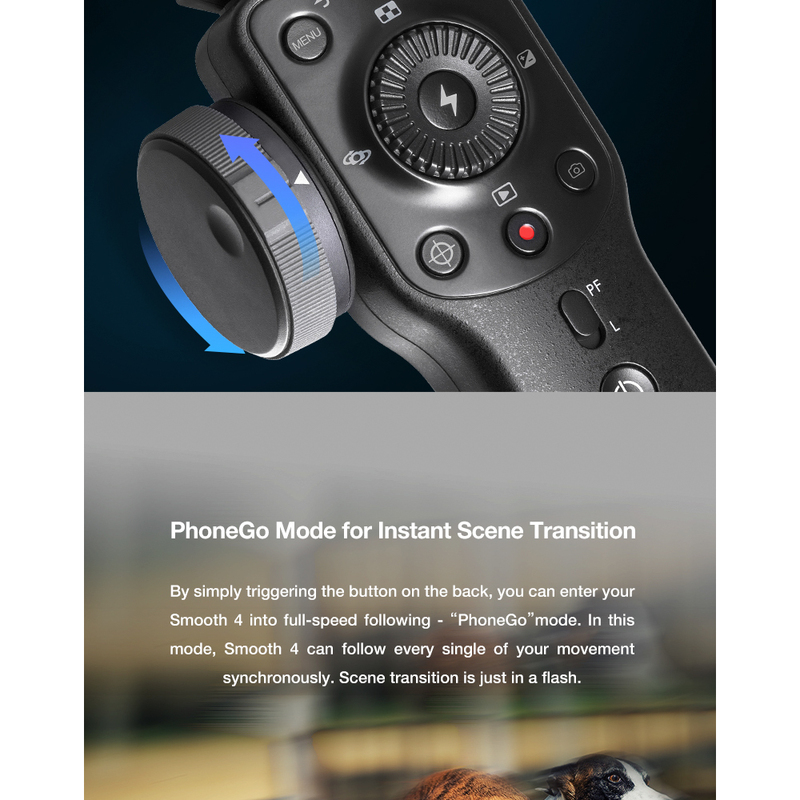 PhoneGo Mode for Instant Scene Transition:?Smooth 4 can respond to every delicate movement without delay without the need to worry about losing any shots. 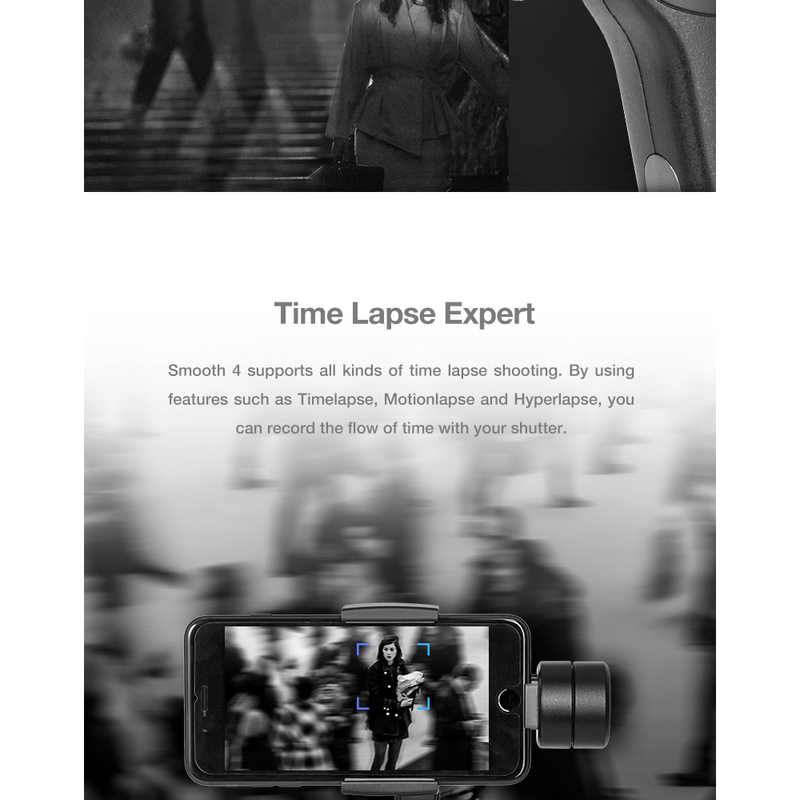 Time Lapse Expert:?Smooth 4 can realize features such as Freestyle time lapse, Timelapse, Motionlapse, Hyperlapse, Slow-motion, recording lives and displaying the art of time flow. 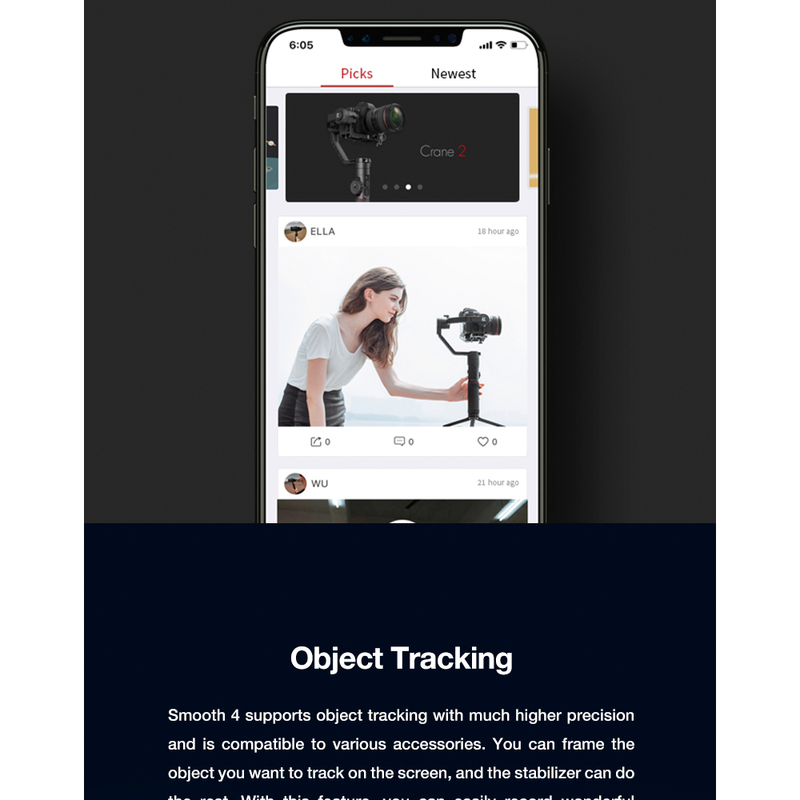 Object Tracking:?Smooth 4 can produce smooth footage and also track objects including but not limited to human faces with much higher precision. 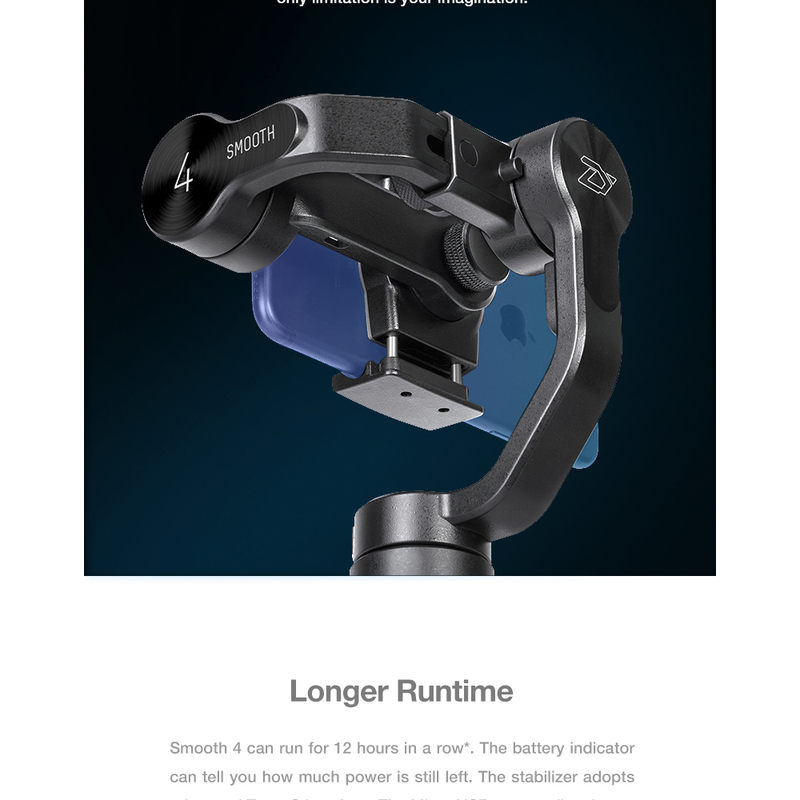 Two-way Charging with Longer Runtime:?Smooth 4 can run for 12 hours in a row. 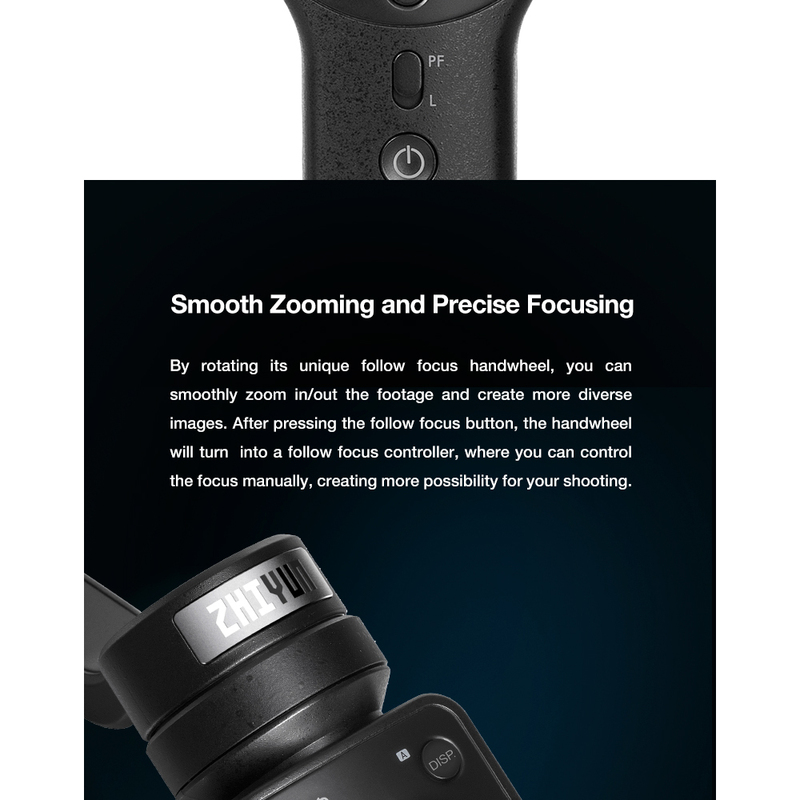 The battery indicator tells you how much power is left. 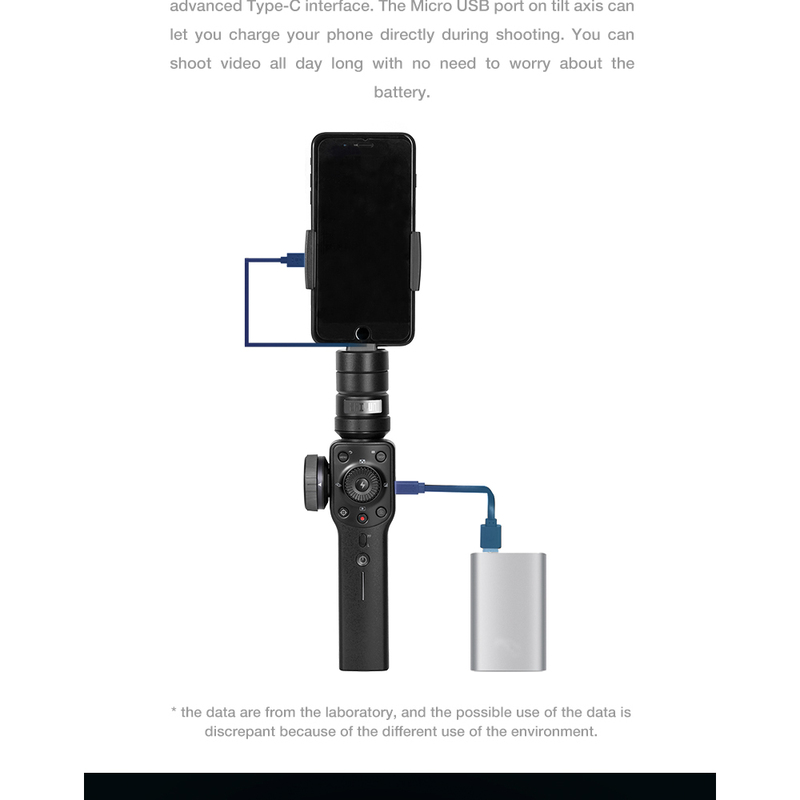 The stabilizer can be charged by portable power source and the phone can be charged by the stabilizer via USB port on tilt axis. 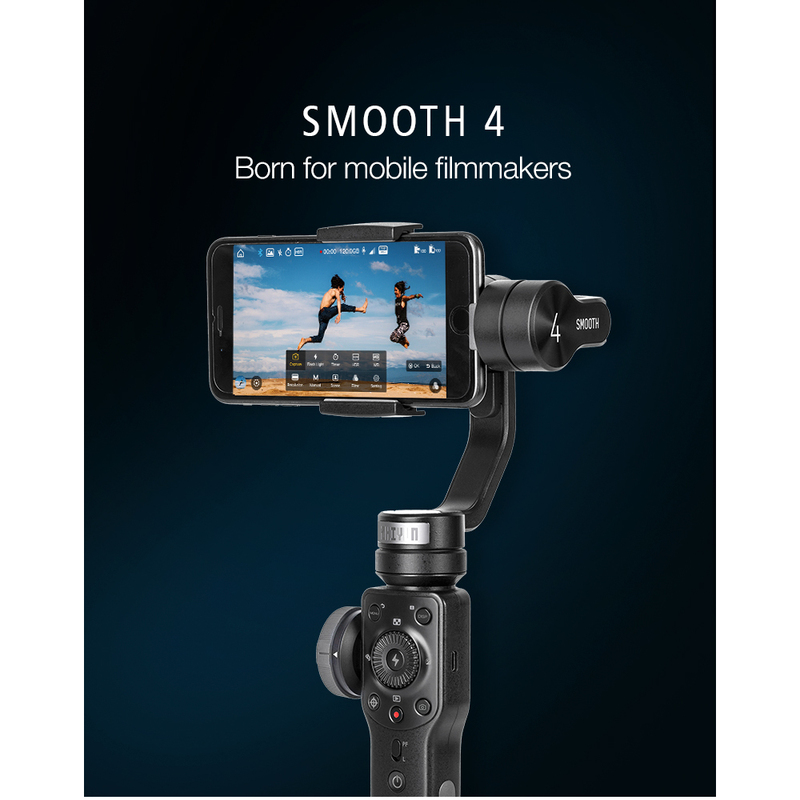 Powerful Motor:?The motor power of Smooth 4 has increased by a large extent, making it compatible to phones of large sizes. 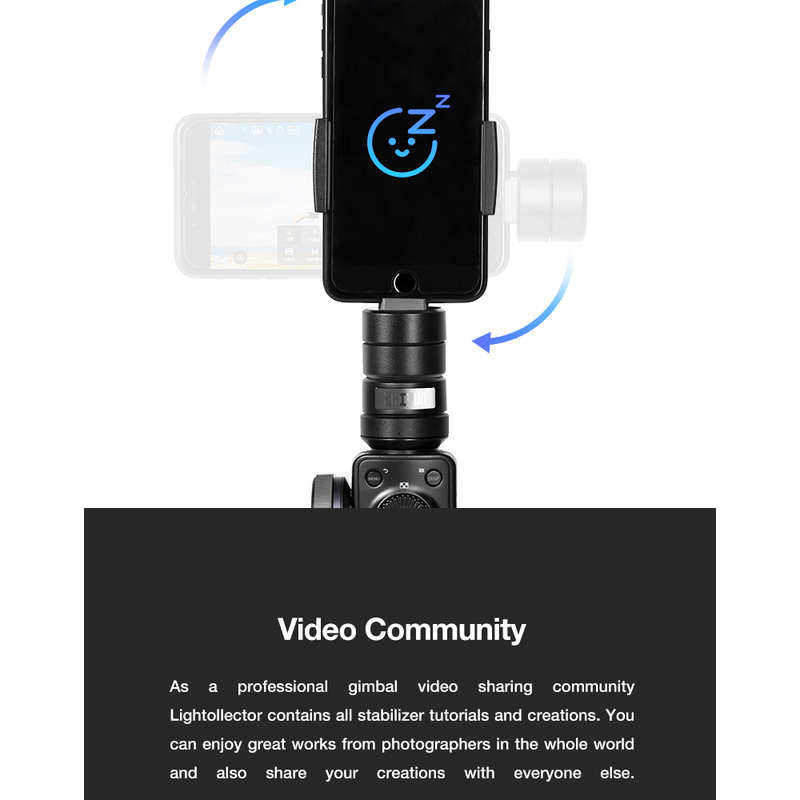 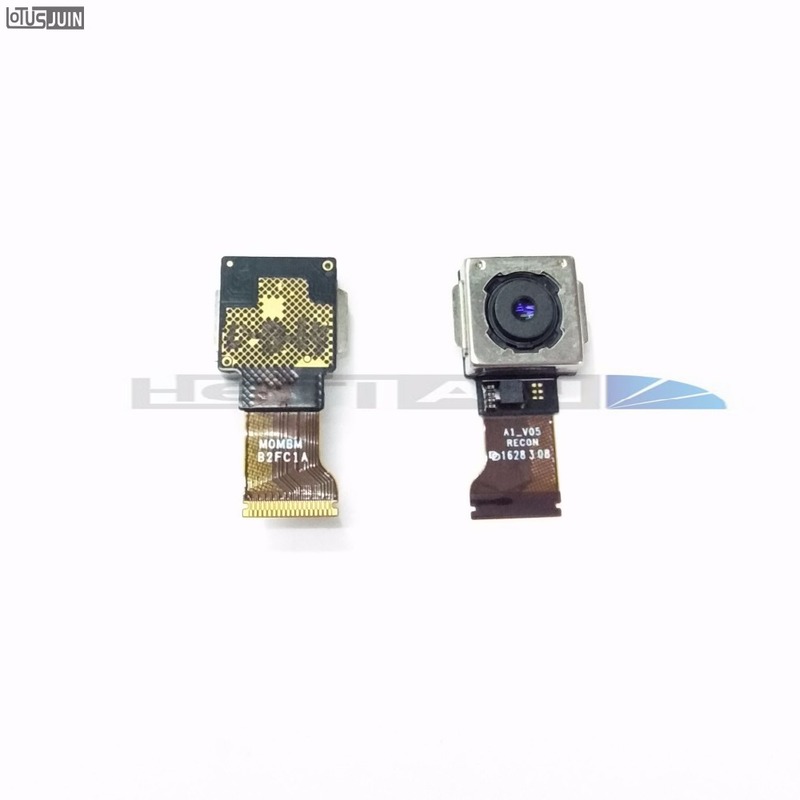 Meantime, it can be used together with many accessories such as LED light and camera lens. 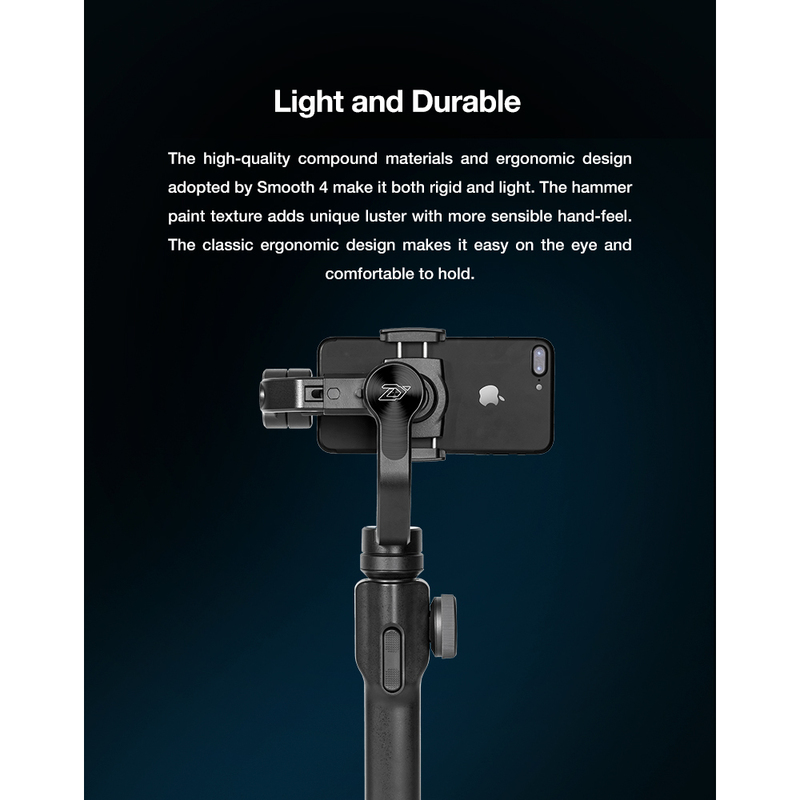 1.Please balance the gimbal well for heavy phones to avoid stabilization failure. 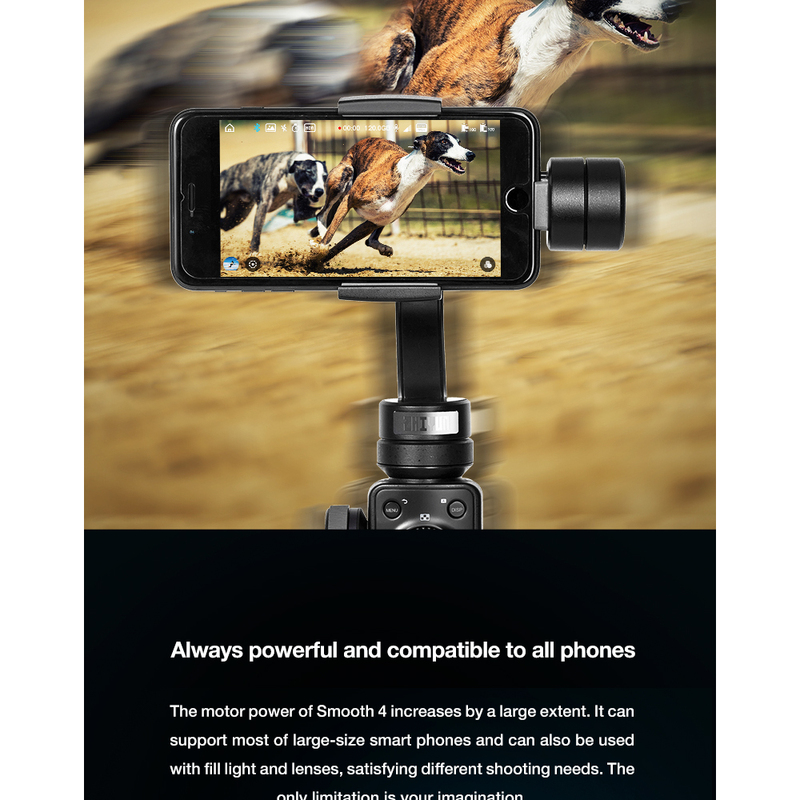 2.Please do the 3x3 Pano in a wide area. 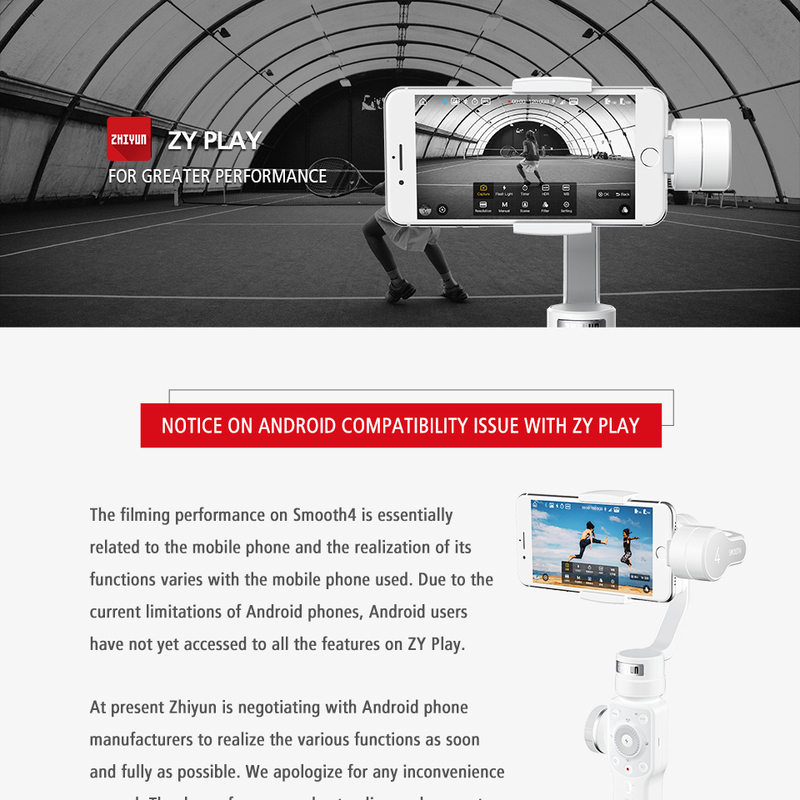 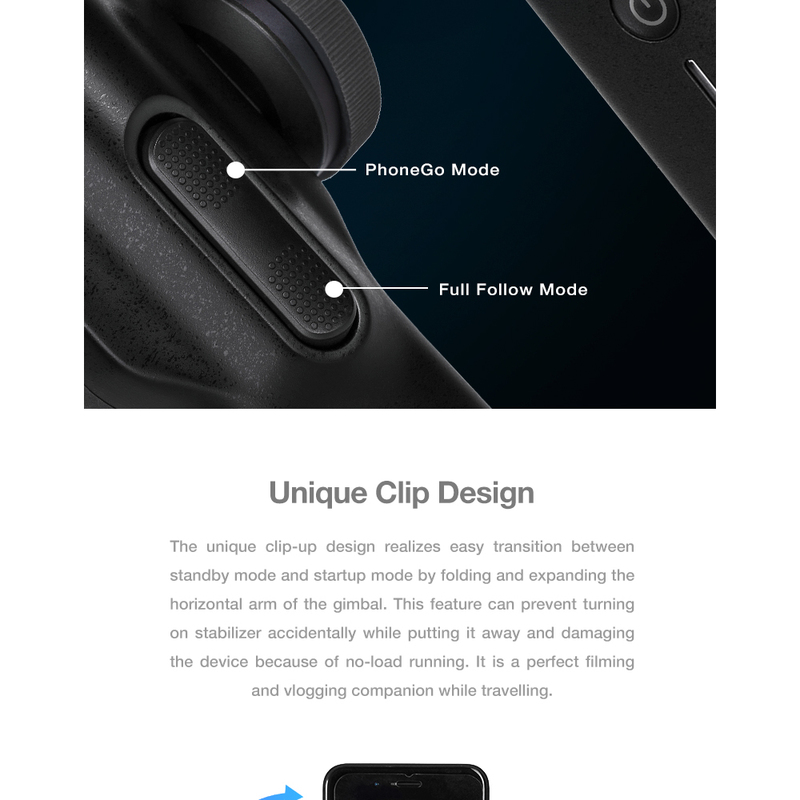 3.Please keep the ZY play APP up to date, Zhiyun will update the APP fast to make a better gimbal.